DDC Laboratories India has served civilization and made sure that science is used to serve humans. 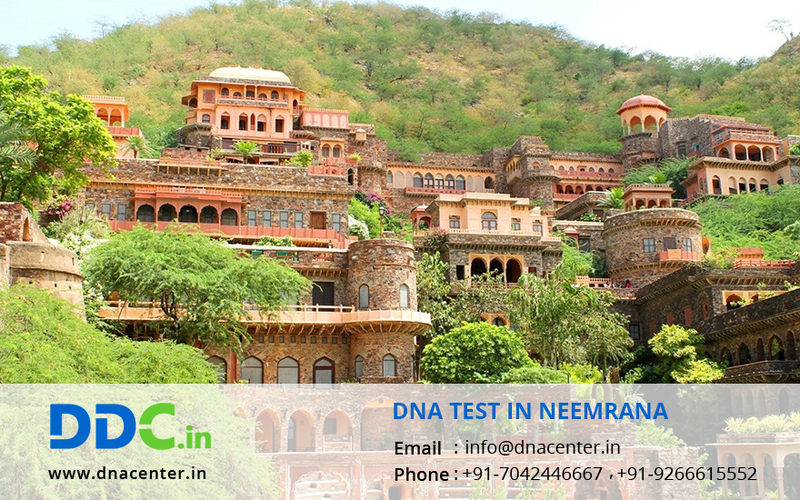 DNA Test in Neemrana Rajasthan can be done for various reasons. Dead bodies can be identifying with the help of DNA test. Certain countries issue Visa only when relationship is proved. Infidelity, immigration, crime, peace of mind, drug detection and ancestral history are some of them. Thus DNA testing is of great help. We have DNA sample collection centers all over India and therefore it is very convenient to get the test done. We have more than 2 decades of experience with DNA Testing Services and provide the same level of professionalism, reliability and stringent testing standards across all our testing centers. Our technicians go through extensive training in order to ensure accuracy and quickness of results. The cost of DNA testing is cost-effective and we ensure the authenticity and confidentiality of all the tests we carry out at DDC laboratories India. For any type of DNA Test in Neemrana Rajasthan, please fill the form. Our executive will get in touch with you. You can also give us a call to make an appointment or for any queries at +91 7533008488.